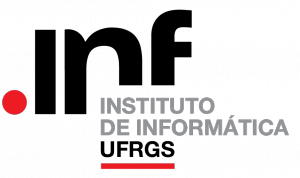 Currently, I’m an Associate Professor at the Department of Applied Computing at the Institute of Informatics (INF) of Federal University of Rio Grande do Sul (UFRGS), in Brazil. Mainly, I’m conducting experimental research related to wireless-optical convergent networks together with the partners of the FUTEBOL project. 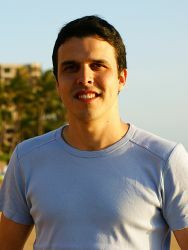 I’m also a member of the Brazilian Computer Society (SBC) and of the Computer Networks Group of UFRGS. My current research interests include Software-Defined Networking (SDN), Network Functions Virtualization (NFV), Internet of Things (IoT), and 5G technologies. During my academic trajectory, I have been recently a Postdoc Research Fellow at UFRGS. I have achieved my Ph.D. and M.Sc. in computer science from UFRGS as well. During my Ph.D., early in 2015, I was in Waterford, Ireland as a visiting researcher in the Telecommunications Software & Systems Group (TSSG) of the Waterford Institute of Technology, working within the Emerging Networks Laboratory. Before that, I used to be an intern for one year (ended in August 2012) at NEC Laboratories Europe in Heidelberg, Germany. There I was a student member of the Network Research Division (NRD) under the topic of Network Management. When pursuing my master’s degree, back in 2008-2010, I was participating in two consecutive research projects called Malia and ChangeLedge conducted in a joint project with HP Labs Bristol and Palo Alto. I’ve achieved my B.Sc. degree in Computer Science at the Pontifical Catholic University of Rio Grande do Sul (PUCRS) in 2006. Regarding past teaching activities, I was recently a substitute professor at Federal Institute of Education, Science, and Technology of Rio Grande do Sul (IFRS) campus Porto Alegre in early 2017, teaching courses on Computer Networks, Network Management, and Informatics. Between 2013 and 2014 I was a Substitute Professor at INF/UFRGS in the Introduction to C Programming (INF 01040) course.